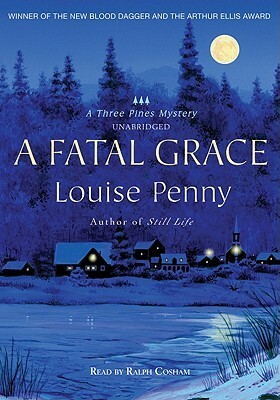 I'm still reading A Fatal Grace so I'm going with page 102. Peter went to the bookcases and searched the volumes stacked and piled and crammed in together. He scanned the titles, from biographies to novels to literature and history. Lots of murder mysteries. And poetry. Wonderful poetry that sent Clara humming and moaning in the bath, her favorite place to read poetry since most volumes were slender and easy to hold with slippery hands. I've heard great things about this author but haven't read anything yet. I will though one day. Happy weekend! I've been told I need to try this author. Thanks for sharing!